Keeping more than 24,265 customers happy for the last 5 years! Save Big Money from Purchasing Captcha Solving Software! There are few Captcha Breaking programs available and they are doing good job, however let's tell You few things that were spared to You! These programs cost one time high fee of well over $150.00, which is signifficant amount to pay at once. You need to babysit them for crashes, plus You need strong PC / VPS to run them on, which is again additional recurring expense. Not to mention You need to wait for their developers to update them with new Captchas to solve, which is quite slow because of the one-time fee. Having all that in mind, Our service scratches out all said above and provides You absolutely reliable and professional Captcha Solving at very attractive and affordable rates! Leave Captcha Solving to us! Forget about Humans solving Your Captchas, forget about slow solving times! I mean Really forget it! Unlike all rest Captcha Solving services that use human teams for decoding and solving captchas, Our service is 100% AUTOMATED thanks to the unique, sophisticated and intelligent system developed by Our team of high skilled professional engineers! WE GUARANTEE very high success rate at absolutely lightening fast speed! Get the MAX out of Your Linkbuilding Campaigns! Did You know You are loosing valuable backlinks by using Captcha Breaking programs and services that miss many Captchas? Well, that is NO MORE! We can proudly say We are the One and Only Captcha Breaking solution supporting 2585 different Captcha Types and counting! We are storing every single Captcha image We weren't able to solve and Our dedicated team is constantly training our system for new Captchas! Using our service GUARANTEES You ever Increasing & Improving Captcha Solving and therefore BOOSTED Linkbuilding! All that at NO additional efforts or cost for You! Turbo & Nitro charge Your SEO Linkbuilding Tools! Are You ready for Captcha Solving that makes Your SEO Linkbuilding tools like they're moving in slow motion? As We already said our service does not rely on humans, but is 100% AUTOMATED! The average captcha solving times of just 0.65 seconds EXPLODES Your SEO Linkbuilding campaigns to the sky, making the tools work 500% - 700% FASTER! Yeah, no kidding! That means Your SEO Linkbuilding tools are now more efficient, fast, stable and reliable! How do You like that?? 80% - 100% average Solving success rate for most Captchas! 60% - 70% reCaptcha Solving success rate! Lightening Fast Solving Times - current average 0.65 sec. 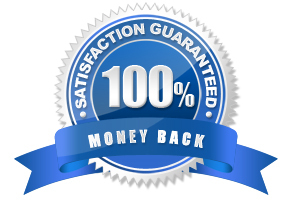 Stop Paying Big Money for slow Captcha Solving and check Our Unbeatable Plans! From small to extremely High volume Plans - We can meet everybody's specific needs! How do I choose the proper plan for me? What are these Software and Captcha Threads? Normally when a SEO Linkbuilding tool works not all submitter threads are hitting website that requires captcha solving at the same. Regularly the threads that hit website that requires Captcha solving is around 20-25% percent of all threads. We are working together with the developers of some of the most famous and widely used SEO Linkbuilding tools to provide You the easiest and comfortable way to use our service with Your favorite Linkbuilding tool! Our Captcha Solving service is currently Integrated with several Linkbuilding programs, so that You only need to insert Your API Credentials in the software settings and it will solve Captchas through us! Finally, the change We badly needed! From long time I have been waiting when the Captcha Solving services will stop charging per captcha and I am very happy to see CaptchaTronix accomplished that! I am one of the first beta-testers of the service and I saved exactly $83.27 on Captchas on my first day using it! You do the math by yourself how much money CaptchaTronix saves me a month! OMG, this is absolutely AWESOME! I am very very happy to see the days of "per per captcha" gone! And I really mean it! We all were throwing insanely high amounts of money for captcha solving and now We can keep them in our pockets! I signed up for the service without any hesitations once a friend told me about it. It sounded way too good to be true, but compared to what I was paying for captcha solving I couldn't missed it! Well, 7 days later I can honestly say this is my best buy for 2014 so far! I highly recommend it to all my friends and We all are happy! Oh, just the next great service! You saved me piles of money! Since about 2 years I was using XXXXXXX captcha solving service and I was paying around $350 a month. Now at CaptchaTronix I am paying only $89.97 a month. That's 400% savings for real! Keep that pricing and You have me as long term happy and satisfied customer! I just wanted to tell You guys my linkbuilding campaigns are on steroids since I started using Your Captcha Solving service! With these insanly low solving times ranging between 1 to 3 seconds my GSA SER got UNLEASHED! It is building links atleast 3 times faster than before!! Leaving the kidding aside, having that kind of accuracy at the start of Your service I really can't imagine to where You will bring it with the time. Keep up the great work! Your service is really life and money saver and I am absolutely happy with it!